Choosing new accounts software can be a challenge. You want something that you can use yourself so that you won’t always be dependent on someone else. You want it to be reliable so that when your review your Profit and Loss you can believe it and you can be confident when you are submitting your VAT and any other returns. Finally, if you are hiring you want to know that there are plenty of people out there with experience in your software. On top of that, you may have well-intentioned people giving you advice. Your accountant may prefer to use a particular package. Your office staff may be familiar with another package and want you to choose that so that they don’t have to learn something new. You will hear and see advertisements from companies telling you how good and popular their particular product is. It can all become very intimidating. You are running a business after all – an expert in your own area. You don’t want to have to become a software expert as well. The bottom line is that you want software that will be a good fit for you and your business. You want something that will give you the information that you need as efficiently as possible. I have a separate blog post call “How to choose accounting software” that will help you decide on selection criteria. For now, I want to look at one particular accounting software package called Sage 50. 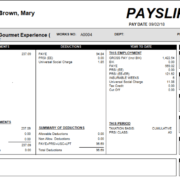 I have been working with accounting systems now for more years than I want to remember. I have worked on large sophisticated systems and worked on the smallest systems. In this article I will draw on that experience to help you understand the features of Sage 50 and make a good decision. Sage 50 is a long established product dating back to the 80s. For a long time, it was market leader and it is widely used throughout Ireland. Sage also produce software that helps accountants produce annual accounts in the annual accounts format (Sage Accounts Production). 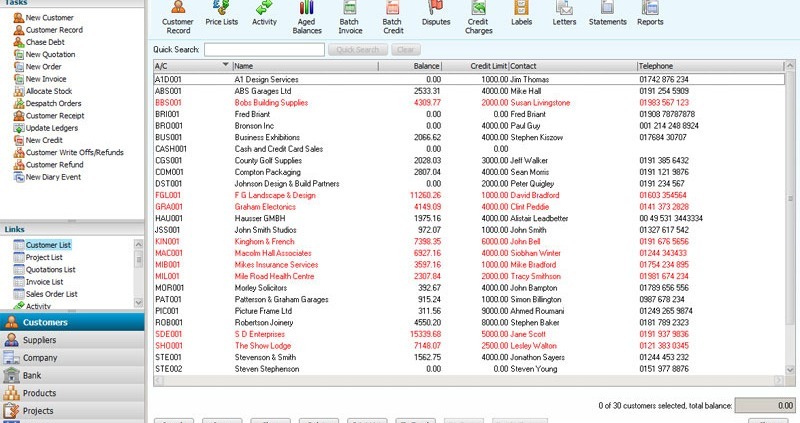 This software can import data directly from Sage 50 which simplifies the annual accountants task. For that reason, many accountants will be members of the Sage Reseller plan and will recommend Sage to their clients without always being fully transparent about any possible conflict of interest. In recent years, there have been a large number of challengers to Sage 50 including Quickbooks and Xero. Sage have been adapting and updating their product in recent years to meet these challenges. The product itself is long established and proven. It does what it is supposed to do – when it is used well it works. There are a lot of people around with experience using Sage 50 so that if you need to hire or replace one of your accounts staff if should be fairly easy to find someone with Sage 50 experience. Most accounting firms will have clients who use Sage 50 so they will be familiar with the software and will be able to help you if you need help. Sage 50 is pretty good at VAT. Because it started out as a UK system and we share similar VAT systems to the UK, Sage probably does VAT better than most other accounting packages. Sage 50 handles Bank Reconciliations well. On the reconciliations screen you match transactions against what have appeared on the bank statements. There are good reconciliation reports available. Some versions of Sage 50 offer the ability to handle foreign currency. Basically, you set up currencies and input exchanges rates whenever you want – usually month end. The software will allow you maintain bank accounts and suppliers or customers in foreign currencies and revalue at month end. The only issue seems to be that once you set up a customer or supplier for foreign currency you can only transact in that currency – you cannot handle a once of local transaction for that supplier. Sage 50 was originally developed in the 1980s and the database technology that it uses is not as good as what the newer software is using. In particular, if you have a multiuser environment you will find that you cannot do certain things while other users are active on the system. I have often been in office where someone is calling out “Who’s in Sage? Can you log out?” I have only experienced that with Sage and its very frustrating for all involved. The user interface looks like something from the 80s or 90s. I know that you will get used to it but its not as neat or as intuitive as modern software. One thing that really frustrates me is how Sage 50 handles year end. At Year End you run a close off procedure which transfers all of the profit and loss accounts to the balance Sheet. You can only do this once and you should wait until your accounts have been finalised so that you transfer correct figures. However, many small businesses don’t finalise their annual accounts for several months after year end. Those several months can run to 9 in many cases. While you are waiting to finalise last year’s accounts, all of this years transactions are classified as future. You cannot get a monthly profit and loss for the current year until last year is closed out. As an accountant who strongly recommends that my clients should produce regular management accounts, I find this to be a major weakness. 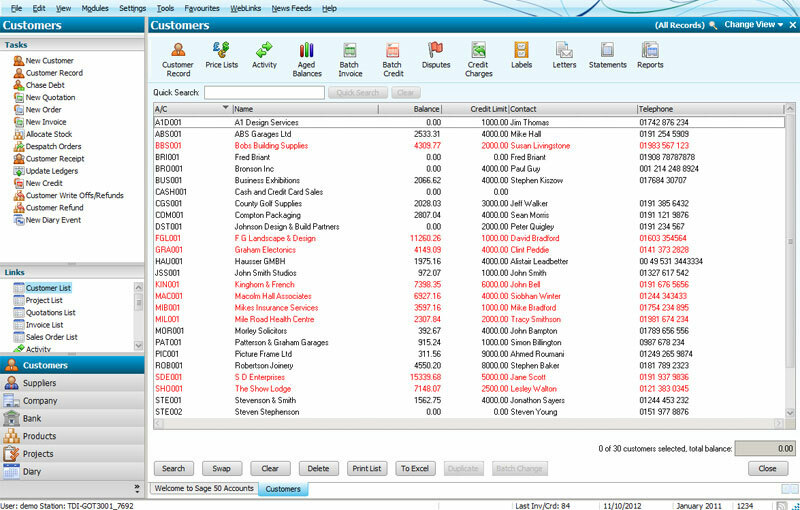 Drill down is a feature that is now very common is modern accounting software. What is means is that if you run a report and display it on screen you can drill down ie click on a number in a report to see what that number is made up of. Drill down is really useful for when you are reviewing accounts and trying to better understand why you are getting the results that you are getting. For many years, Sage 50 did not have drill down. In recent years they have added it to some reports but not to all. It’s kind of there – but not fully there. There will always be errors to correct in any accounts package. People do make mistakes. At year end, I often find items misclassified and I want to correct them. For many years, Sage 50 did not allow corrections as they took the view that this weakened the audit trail. Rather, you had to post a journal to transfer the original figure. What you were left with in your accounts was an incorrect transaction and a correcting transaction. This makes it harder to follow what had happened. They have amended that in recent versions but its not perfect. Some, but not all, transactions can be corrected but often to correct those all other users have to be out of the system – the multiuser issue. Additionally, finding and editing the transaction is cumbersome. Overall, I don’t like how they do handle corrections. If you want to collaborate with your accountant using Sage 50, you have to share a backup. The accountant can make changes, if they also have the software, and then they send you back a backup. You can’t work on your data while the accountant is working on it as restoring his backup will overwrite the work that you have done. This is very cumbersome compared to what’s possible with any of cloud packages where the data lives in the cloud and anyone with a browser can work on it, more or less, at the same time. To overcome this issue Sage have introduced Sage Drive. I have read about this feature but have not yet met anyone who is using it. I have been looking at the Sage Guides for Drive and its seem complicated enough. Reporting in Sage 50 is mixed. They have lots of reports and often many variants of the same reports. Almost everything that you need is covered within the reports. Reporting can be slow – you can monitor the status of the report as it is being built and it does seem slow. The bigger your data base the slower it will be. Some reports have little settings that can catch you out. For example, if you are running an aged customer balance report for your year end, the report automatically defaults to including any payments after the year end. This means that it won’t be showing you the actual customer balances as at the year end. For me, that’s a strange default. The Profit and Loss and Balance Sheet Reports all come from an element called Chart of Accounts. With this the user can edit/configure the Profit and Loss or Balance Sheet to suit themselves. Once you have set it up, you can add or edit accounts. If you don’t update your Chart of Accounts to allow for the changes that you made, this may put your chart of accounts off. I regularly see balance sheets that do not balance because of adding new accounts. Its not difficult to fix but it can take a bit of time and not everyone notices the reports are out of balance so could be working with incorrect information. If you want to create a new report, Sage provide a Report Builder. I have yet to come across any one who uses this. 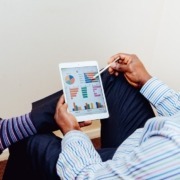 For most businesses, writing a report is a rare requirement and most businesses don’t have the time to learn how to use the report writer to do one report. One alternative is to outsource the writing of the report. Another alternative is to export the report to Excel and play around with the data to get the report that you want. Again, not everyone wants or can do that. Overall, while there’s a lot that is good about Sage 50 Reporting there remain a number of problems. I am not aware of any applications that integrate with Sage 50. Sage is a large company with many other products. Sage want you to buy their products so they don’t make it easy for you to buy another module, say an inventory management module, from someone else and integrate it with theirs. They prefer you to buy their inventory module. Sage 50 was always expensive compared to other products. They seem to have reduced the pricing so that they are more competitive now. If you are buying it today, you have three options. Sage 50c Essentials cost € 25 per month. This is a basic package for 2 users and one company. The next package is the standard package. This allows for 2 core users and up to 10 companies and allows you to track stock and have multiple departments. The Sage 50c Standard Package costs € 80 per month. This allows 2 users work with up to 10 companies and it handles stock and projects/departments. It doesn’t have multicurrency. Finally they offer the Professional Version which adds departments, projects, sales orders and purchase orders and foreign currencies. This costs € 155 euro per month. The essentials compares reasonably well with competitive products. The Standard seems more expensive than the competition and the Professional is very expensive compared to alternatives. If you use accounting software mainly for compliance purposes then Sage will do that for you. On the other hand, if you want to be more hands on and to use your accounting software to get good information about what exactly is happening in your business then Sage is not as good for that. In my experience, the way things are developing, business owners are much more comfortable with software and they want software that they can use themselves. The want to be able to access their business information on a phone or a tablet and Sage 50 is not a good fit for that. Sage 50 is not a product that I recommend to my clients. If you have read some of my other blogs, you will realise that I encourage my clients to “own their own accounts”. In my opinion, Sage 50 doesn’t support that approach as well as the competition. For the money they are asking, you will usually get a better solution elsewhere. What do you think? Have you experience of Sage 50? Am I missing something? Let me know if you agree or disagree.